Buy Imaging PVR and pay by post. 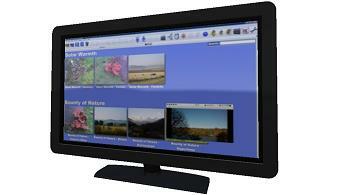 Record Satellite TV (and Freesat) / Record DTT (Freeview) / Record Analog TV - it does it all! The fastest way for us to accept your order is to pay by postal or money order. If paying by cheque there will be a delay in issuing your activation code while we wait for the cheque to clear. 1 Download a trial version and check it works well with your equipment. On receipt of your payment, we will email you your activation code. Please note, no refund will be given after the activation code has been entered into the software by you - so make sure you are happy with the trial version. We regret that we do not supply customers living in the USA. What does Imaging PVR look like? Where do I store the TV recordings? Why watch TV on a computer? How to earn money as an affiliate. What do Imaging PVR icons on the menu mean? Copyright Imaging Intelligence 2013. All rights reserved. Registered office: Imaging Intelligence Ltd, 27(9) Wardlaw Place, Edinburgh. EH11 1UG. UK. Registered in Scotland. Company registration number SC266176. Established April, 2004.